How to Make a Solitary Bee Hotel!! Bring Bees to You! Bee hotels are great to draw solitary bees to your garden and help with the pollination of your plants. 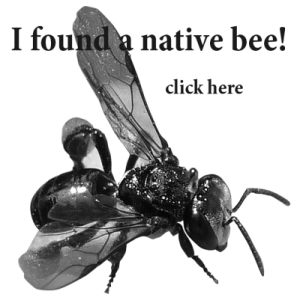 Solitary bees are an important part of our world and in some parts of the world becoming extinct. That’s right! Extinct. Building a bee hotel is one way that you can help solitary bees in your area. The video below shows you how to make your own at home. If you don’t have a lot of tools, simply drill holes in a hardwood block of wood. Selecting the best materials for your project is something to be considered. A well made bee hotel is something that will be around for years and years. It will also make lots and lots of new bees! So do it right the first time. A lot of store bought hotels aren’t deep enough with their holes and it doesn’t support the life cycle of the bees when partnering up with a mate. Hardwood for the entire hotel or simply the face. Some good Australian ones are; Spotted gum, tallow wood and ironwood. Bamboo. Cut your bamboo by keeping the nodes intact each end. Pine for internal only, I would not use pine for any part of the hotel that gets exposed to weather. I simply don’t like building things that fall apart. You could dip your hotel in beeswax if you did want to use pine though. Recycled timbers, the older the better! I was inspired to make some more blue banded nesting areas recently but they are a little different. Have a look at John Klumpp’s 3rd video on solitary bees if you wish to attract them to your garden.